Last week saw us hosting our 17th Annual Charity Golf Day at 13th Beach Golf Links in Barwon Heads on the 22nd November 2018. 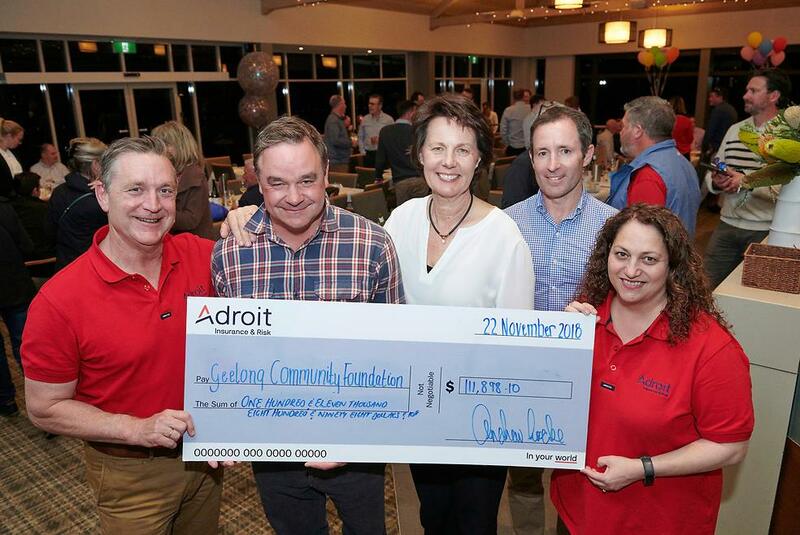 The Adroit team, along with community partners The Geelong Community Foundation, is delighted to announce a new record fundraising amount of $111,898 with funds going to the Kids Plus Foundation and Encompass Community Services. Kids Plus Foundation will be the recipient of $90,000 (of the $100,000 2018 Adroit Charity Golf Day Grant). The funds will be used to build a play space at their new facility due to open early 2020. Kids Plus Foundation offers programs that include early treatment and specific intervention strategies to improve children’s abilities across a range of developmental areas. They specialise in interventions across the life-span for babies, children and young people with cerebral palsy and similar neurological disorders. Encompass Community Services Geelong will receive $10,000, which will be used to kick start their ‘Transition to Independent Living’ Project, for adults with a disability. The balance will go to The Geelong Community Foundation. “The benefits from the funds we raised today are far-reaching, thanks to the great work of Kids Plus, Encompass Community Services and the Geelong Community Foundation,” said Mr. Locke. To date, our Annual Charity Golf Day has raised over $1,000,000 for Geelong causes and initiatives, which will have a long-lasting impact on generations to come. We are extremely proud of what this day has achieved and we would like to thank our staff, sponsors and community partners for the time and resources they volunteered to help reach this milestone.